I've learned that I thrive when the work I do connects up to a higher mission. Over the past 7 years I've worked as the creative director for a purpose-driven business that hoped to fix the lack of healthy food in schools. That business became SnackNation, and though the variety of entrepreneurial work there I’ve developed a deep expertise in every facet of creative, from video marketing & copywriting, to lifestyle photography, to physical product design. As we grew SnackNation to a 150+ person “Inc.com Best Places to Work” company, I’ve managed a creative team and refined our brand to appeal to a modern consumer. Everyday I use a variety of skills to solve creative problems and communicate our mission to the world. I try to learn something new every day and would love to connect or help with your next project or challenge. Whether your goal is to create viral videos with millions of views (link), to sell your product with proven video marketing strategies (plus a dash of empathy and wit), or to design a premium product, I have the experience, resourcefulness, and fun, can-do attitude to help get it done. 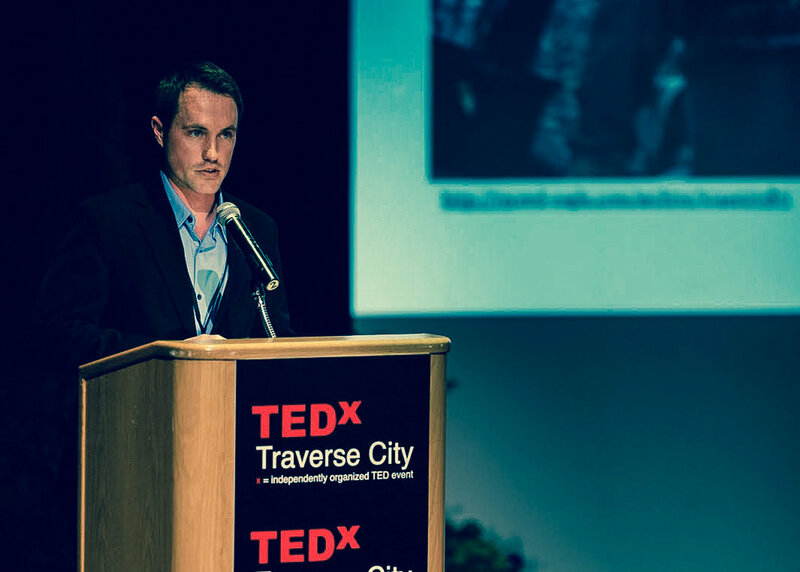 I was honored to get a chance to present at Tedx Traverse City in 2011.